In conjunction with Rawlings, Major League Baseball issues commemorative baseballs for notable games or seasons. Every year, new logo-ed baseballs are used for both the All-Star Game and the World Series. But during baseball’s “Stadium Revolution” of the last decade, a special ball has been used commemorating the inaugural season of a new ballpark. In 2008, the Nationals used special balls the entire year. In 2009, Yankee Stadium and Citi Field had commemorative pearls, and in 2010 the Twins participated in the trend with Target Field baseballs. These baseballs are collectors’ items for all sorts of fans, from anyone excited about the new park to serious ballhawks looking to add to their collections. I’ve never been to a Marlins home game, and I plan to attend a game in April. 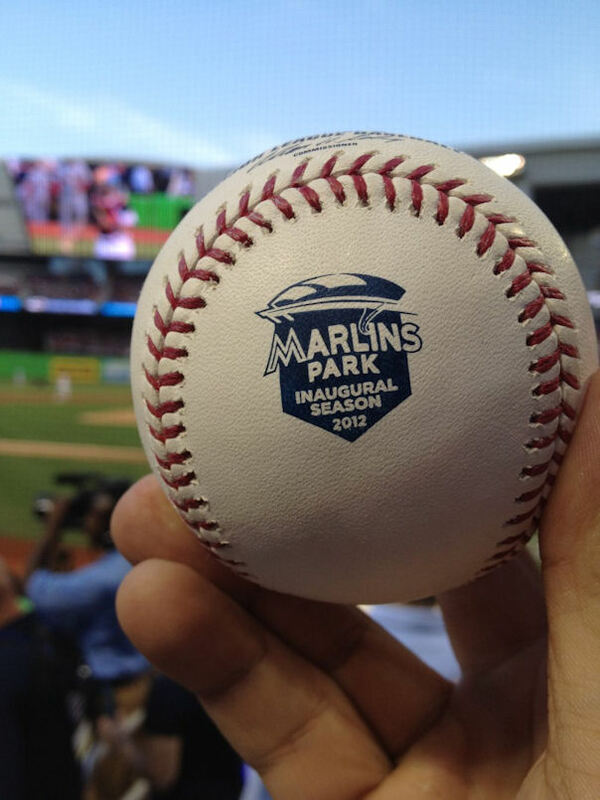 Getting my hands on a Marlins Park commemorative baseball will be a high priority. My hopes is that they will bring the balls on the road to use during BP, in which case I could snag one at Nationals Park. Very intesting post. Keep up the good work! 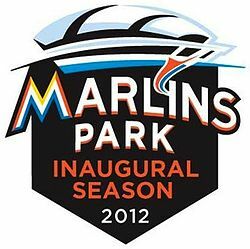 Although I’m not a huge fan of the Marlins new look in general, I really do like the way that the commemorative logo looks. It seems sort of cool. I like it too, but there’s no confirmation that this IS THE logo. I’m just guessing it is based on the way it is shaped. If you look at the Citi Field one, and the Target Field one, they all have the same general shape, so that’s why I concluded that.